You Can Encourage Someone Today! When you encourage someone, it does not matter who, help whoever God puts on your heart! It does not need to be something spectacular, just even a small act of kindness to a friend or stranger! Here are some encouraging scriptures about encouraging someone. 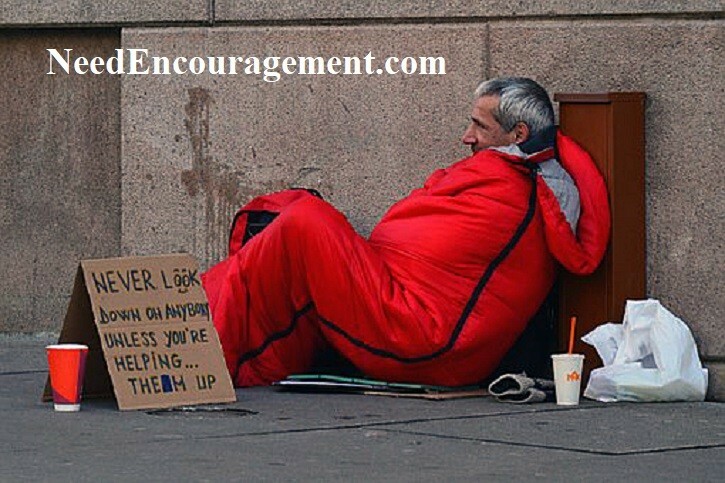 Learn Why We Need To Encourage Someone? What We’re Willing To Do To Help Others? First Pray For One Another! 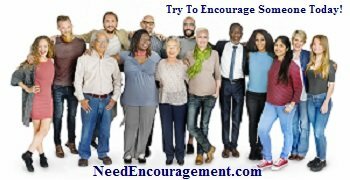 Encourage someone like you would want to be encouraged is an excellent place to start. Offer to do something to help! Be willing to go grocery shopping for someone who isn’t able to make it to the grocery store or who can’t afford it at the moment. Be willing to clean someone’s house. To take the load off someone who is struggling with daily life. Be willing to provide rides to doctors’ appointments. If your friend is ill, take her to her doctor appointments. Wait with her, comfort her. Don’t turn away from her discomfort. Be willing to do some cooking. Make regular meals for someone who is ill, or is otherwise unable to cook for herself. Be willing to be available for babysitting. If you know a couple whose marriage is in an awkward place, offer to watch their children so they can have some time together, just the two of them, or maybe you know someone who needs an hour or two on their own to regain their sanity. What Often Happens When You Encourage Someone! Keep in mind that often when we help and encouraging others, we will find that it is often the best way to help yourself. Think about how good you felt the last time you focused on helping someone else. Do not think you can do it all in your strength. You need to trust God and his word when He tells us to love one another. So when you encourage others, you will be doing God’s will, and you, in turn, will be blessed for your honoring God only the way God can. In the meantime, keep praying and seeking godly wisdom through His word and the variety of helpful information on the many pages of this website. Encourage Someone At The Same Time Encourage Yourself! The hardest part of encouraging someone is to decide to do it! So get out and help and assist someone today! Be willing to spend time one on one in a personal Bible study. If you have a friend, who is struggling with her faith or wants to build a deeper relationship with the Lord, meet with them weekly. Be willing to make regular phone calls to let the person know that they are being thought of and cared about by someone. Be willing to go for walks with someone and to spend time together. Sometimes just being there and being willing to listen is what we all need. Be willing to share about yourself and to open up. Be prepared to let go of the “perfect Christian” façade and be willing to share your struggles and faults. Let your friend know that they are not alone. Be willing to ask your friend what their needs are? Ask them, “How can I help?” Be ready and willing to follow through. God will multiply whatever small offerings of willingness that you have for someone in need. He will use you to bless many; you need only to be willing. Encouragement goes straight to the heart. The word itself comes from a combination of the prefix en which means “to put into” and the Latin root cor which means “heart.” Knowing what a big difference encouragement makes in your own life, what can you do to help others to take heart when the going gets tough, and the way feels long? Learn individuals’ “love languages,” the special ways in which they feel most valued. In his book, The Five Love Languages, Gary Chapman explains that not everyone’s emotional needs are met in the same way and that it’s important to learn to speak others’ love languages. The five love languages are words of affirmation, quality time, receiving gifts, acts of service, and physical touch. It Is Not That Difficult To Encourage Someone! Here Are Additional Ways To Encourage Others! Finally, Here Are Additional Ways To Encourage Others! 19. Tell people how they’ve encouraged you! What Should Motivate You To Love One Another? I believe you reap what you sow. If you love others, you will receive love in return. Jesus loved me when no one else did, so I should be pleased to love others! I’m motivated to love others just like Jesus loved me, and I try to mirror His love. Should motivate me much to do that, and I ask Him daily to help me do just that. Motivates me daily to do the same to others just as Jesus loved me. Highly motivated to love others because Jesus loved me when I was cold-hearted. Jesus gave His life up for all of us, so we should do the same as Jesus. God is love, and His love compels and enables us to love one another. Trying to share God’s love with others that He has given to me! God has motivated me through prayer to love others just as He has loved me. When I drift and go my way, Jesus loves me and brings me back to Himself! Encourage someone with a random act of kindness! Sounds like a beautiful idea. God’s word commands us to encourage one another. A side benefit of when you encourage someone, you will be helping yourself because of your obedience to God. A word of encouragement or act of kindness shared by any of us can influence someone’s life for the better. Even if it is only in a small way, it is still worth it. Encourage someone today, believe me, that you will help lift them up and also be uplifted up yourself by doing so at the same time! Reflect On How We Love God! Do you practice compassion in your life daily? What is your understanding of being empathic? 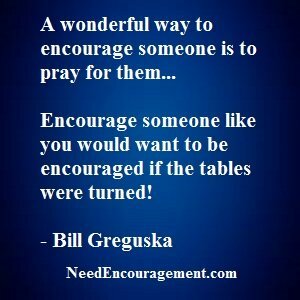 Why is encouragement so crucial according to the Bible? Point out to someone a quality you appreciate in him or her. Be sensitive to others’ need for encouragement, and offer supportive words or actions. Who comes to mind that you could encourage? You can phone, email, text, send a card or make arrangements to meet with that person. Ask the Holy Spirit to direct you.